Curtis Macdonald is a Brooklyn-based saxophonist, composer and producer whose works blend composition, sound design and improvisation. Curtis works as a producer and engineer for WQXR’s Q2 Music, and is a member the great American composer and multi-instrumentalist Henry Threadgill’s Ensemble Double-Up. Curtis was recently co-awarded the first Charles and Joan Gross Family Foundation Prize for his collaboration with Aszure Barton & Artists on the dance Awáa, and has received commissions from Alvin Ailey American Dance Theater, Hubbard Street Dance, The Bavarian State Ballet, The Museum of Modern Art, Kate Weare Company, and Larry Keigwin for The Juilliard School. He has released two albums as a bandleader, authored a book on saxophone technique and teaches at Parsons, The New School for Design, and The New School for Jazz & Contemporary Music in NYC. This Easter, join Malcolm Merriweather, conductor of The Dessoff Choirs, for an hour of his favorite Easter choral masterpieces, sung by some of the great choirs around New York City. Leonard Bernstein marched in Selma with Harry Belafonte, and his campaign for racial justice involved empowering black conductors and soloists. Host Terrance McKnight tells this story. Listen to an exclusive performance by Henry Threadgill's longstanding chamber ensemble Zooid of "I Never," recorded live by Q2 Music at the Village Vanguard on Oct. 2, 2016. Listen to an exclusive arrangement of a nutso, sci-fi-y electronic piece John Adams wrote in 1993, arranged by Caleb Burhans for Alarm Will Sound. Hilton Als is an intellectual omnivore who roots his art and criticism in reality and truth. Als talks with Helga Davis about being comfortable owning your anger and art-making. Jaga Jazzist is a Norwegian ensemble that draws inspiration from jazz, vintage funk and Krautrock. We join the members backstage at Le Poisson Rouge for an interview and performance. Bruce Brubaker and Francesco Tristano, two virtuoso pianists from very different musical backgrounds, take the music of Philip Glass in an entirely new direction. The young Juilliard-trained soprano Julia Bullock is making waves for her stunning performances and bold choice of roles. She talks with Davis about finding her place in today's culture. GABI is a composer and vocalist who brings together elements of classical music, electronica and the expressive vulnerability of the human voice. For conductor Alejandro Hernandez-Valdez, an attentive and hungry audience is one of the essential parts of creating a transcendent musical experience. He talks with host Helga Davis. Alan Gilbert is in his final season as music director of the New York Philharmonic. He talks with Helga Davis about serving a community and the moments in performance he lives for. For composer Daniel Wohl, the distinction between a physical performer and an electronic sound is inconsequential. For this episode of LPR Live, we take in excerpts from "Holographic." The pop star singer-songwriter Solange talks with Helga Davis about finding autonomy in the music business and about being black and beautiful in contemporary America. Eartheater is the solo project of singer, songwriter and guitarist Alexandra Drewchin, a conceptually-driven artist who makes music that exists in a strange universe all its own. Recently awarded the Pulitzer Prize, jazz composer Henry Threadgill talks with Helga about giving license to your imagination and pushing yourself to go beyond excellence to greatness. 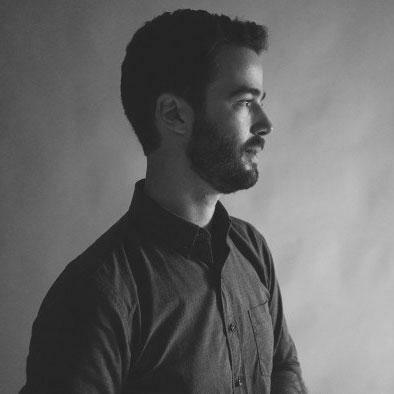 Port St. Willow, the project of Brooklyn-based Nicholas Principe, performed its second improvisational, atmospheric album "Syncope" at Le Poisson Rouge on November 17, 2015. For this episode of LPR Live, we join the ambitious Ensemble LPR for a performance of music by composer Andrew Norman that draws its inspiration from a high octane racing-car video game.